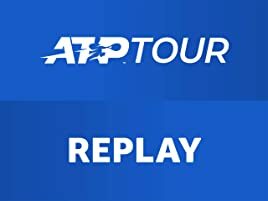 Watch live men's tennis from the BNP Paribas Open, ATP Masters 1000 in Indian Wells, CA, U.S.A. (7 Mar 2019 - 17 Mar 2019) and catch up on the best moments. 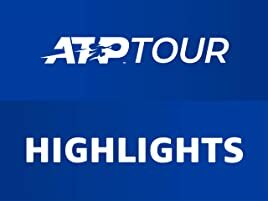 Prime's full 2019 ATP coverage can be found here: amazon.co.uk/atp2019schedule. This year's men's singles draw includes Roger Federer and Novak Djokovic. BNP Paribas Open is held annually on hard court. Amazon have learnt nothing since their very poor coverage of the US open last year. The video is still very jerky, and pretty much unwatchable on a television (probably half the frame rate of normal broadcast television). Doesn’t even look HD. Probably ok if you only want to watch it on your mobile phone. The BBC last year showed how well this could be done with their excellent UHD HDR coverage via iPlayer of Wimbledon. Amazon don’t seem interested in providing a quality service, which I find very disappointing. You would have thought that they would want to lead the way, but in fact they don’t seem to care. Amazon have known about this issue since the US open last year, but can’t be bothered to fix it. I wish they’d just leave leave live television to those who actually know how to provide a quality service. They’re taking us back to the 70s in terms of video quality with this effort. OK, so Amazon's coverage of the US Open was a work in progress but the coverage of this tournament is much improved. 1) All live courts covered with sometimes the option of watching with no commentary on many big matches. 2) Picture for me is HD quality and frame speed acceptable. If it is not then you either have low bandwidth, or your TV settings are at fault. Turn off all motion enhancers, none of them work. 3) If a match is in the middle of the night then you can watch it the following day, and get this - in its entirety - from the moment they walk onto court. Coin toss, knock up, all sit downs..IN FULL. 4) It's all part of the Prime subscription, used to cost me a fortune to watch tennis on Sky/NowTV! 5) Five stars from me if it keeps on like this! Great quality stream. Love the commentary and especially the studio banter. A star has been taken off for the clumsy way it's listed on Amazon.co.uk. 4.0 out of 5 starsDont trust the star ratings try it for yourself. Think people with positive view are doing just that viewing. Again mo problem with access via fire stick and normal tv. Also ipad fine. Agree with comment about finding rght day, court etc. Easier on ipad. Just needs one icon for tournament then Day then court and preferably if live or back later. Good commentary teams. The tennis is available at all times on your laptop or computer ;also you can watch all matches for the full day on replay,or you can just watch the highlights.sound to me like some people just like to moan. As last year, the coverage is poor and I can't record while I am at work to watch later. Whyon earth the ATP sold the rights this way goodness only knows. The tennis audience will shrink to nothing I should reckon. Given up watching tennis on Amazon because it is so difficult to know what matches are connected because there is no EPG . Video qaulty is too variable. Come back Euro Sport all is forgiven. why is it so impossible just to find yesterday’s tennis and why list days of the tournament which are in the future (alexa, make time travel a reality)? ?